Dreaming of a spring wedding destination that exudes classic Cape Cod charm? Consider Hyannis, Massachusetts. Located within the town of Barnstable, Hyannis has long been considered the “heart” of Cape Cod. The picturesque village boasts beautiful sandy beaches, historic sites, a charming downtown Main Street, museums, seaside art shanties, and ample opportunities to get out on the water. Visit once and it’ll be clear why the Kennedy family spent their summers at their iconic coastal residence in Hyannis Port. No surprise, Hyannis is a popular vacation and wedding destination – particularly in the spring and summer months. Who wouldn’t want to exchange vows in such an idyllic location? While it’s a gorgeous wedding destination any time of year, spring weddings on Cape Cod are particularly magical. If you have dreams of an outdoor ceremony, then this season is perfect for your special day. With extended hours of sunshine, the fresh scent of spring air, green grass, and colorful blooms making their long-awaited debut, there's a lot to work with when planning a spring wedding. But what about the venue? The Cape Codder Resort & Spa in Hyannis offers the perfect venue, any time of the year. As one of Cape Cod’s most elegant wedding venues, the resort prides itself in its five spectacular and unique wedding packages. Each package provides a complete experience with the benefit of a simplified planning process, leaving the bride and groom more time to enjoy the unforgettable journey to their special day. At the Cape Codder Resort & Spa, your flawless event will be handled with a particular attention to detail, setting your celebration apart like no other. We believe that a bride should sleep peacefully the night before her wedding, knowing that absolutely everything is taken care of. 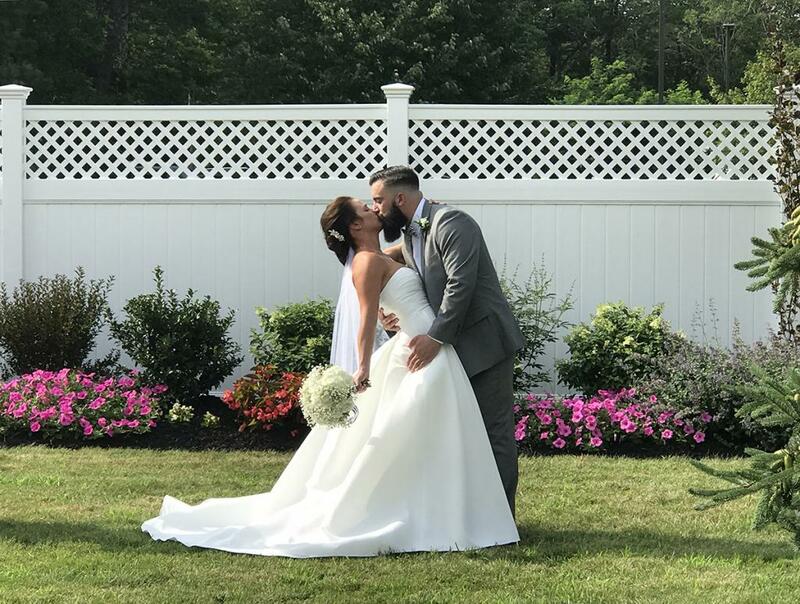 It’s all here for you – gorgeous options for a wedding ceremony, elegant function rooms for your reception as well as your pre-ceremony events, some of the most lavish menu choices on the Cape, and exceptional overnight accommodations for your out-of-town guests. All wedding packages include a customized wedding cake, a wedding toast, a bridal party room for after the ceremony, an elegant full-course wedding dinner, overnight accomodations for the wedding party and out-of-town guests, and complimentary reception room for rehearsal dinner. In addition, each wedding package includes a banquet manager to ensure your day goes flawlessly, as well as an elegant banquet room set-up featuring a dance floor, tables and chairs, floor length linens, China, glass and flatware, and coastal-inspired centerpieces of glass bubble bowls with sand, shells and sea glass. For the reception, you’ll have variety of unique spaces to choose from, including the opulent JFK Ballroom, the stylish Crystal Room or the Emerald Room with its grand staircase and Cape Cod’s largest dance floor. Our resort is perfect for intimate gatherings, as well as larger crowds up to 300 guests. Visit our full-service Beach Plum Spa to be pampered before the ceremony as well as wedding day makeup and hair. After the wedding, the bride and groom can relax with a couple’s massage. Guests – and the soon-to-be married couple – can take a break from wedding festivities and unwind at the resort’s spectacular indoor water park or at the tranquil heated outdoor pool. For the ceremony and photographs, Cape Cod’s natural landscape comes with ready-made decor, especially in the spring! A ceremony in a garden among the spring blooms would be enchanting. Or, let our borrowed seaside setting be your something blue with a breathtaking beach ceremony. Our professional wedding planners will take care of you and your guests every step of the way so that the only responsibility you'll have is imagining how perfect your wedding will be. Let us help you plan the wedding of your dreams!